Dr. Litner is the recipient of numerous awards of recognition, most recently including the Norman E. Stoller Surgery Award from Beth Israel Medical Center, the J. Swift Hanley Teaching Award and the Turner Award for Excellence from the New York Eye and Ear Infirmary, and the Kris Conrad Merit Award in Facial Plastic Surgery from the University of Toronto. Dr. Litner was most recently on full-time academic staff at the University of Toronto, St. Michael’s Hospital site, a major downtown Toronto trauma center. He is now in full-time private practice at PROFILES Beverly Hills. He is board certified in Otolaryngology by the American Academy of Otolaryngology-Head and Neck Surgery and the Royal College of Physicians and Surgeons of Canada. 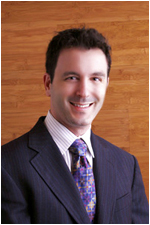 Dr. Litner is an international patent holder and author of over twenty scholarly papers and book chapters relating to facial plastic surgery, and has presented his original work internationally. He is currently co-authoring a book on Otoplasty Technique.